Who would not love to work with chocolate and be an expert on this delicious candy? This is the work of the chololatière Luciana Lobo, who studied at Le Cordon Bleu in Australia, where she obtained the Diplôme de Pâtisserie and Basic Cuisine, in 2002. With 17 years of experience, the chef currently leads the Dengo do Brasil products, that sells chocolates with own production. 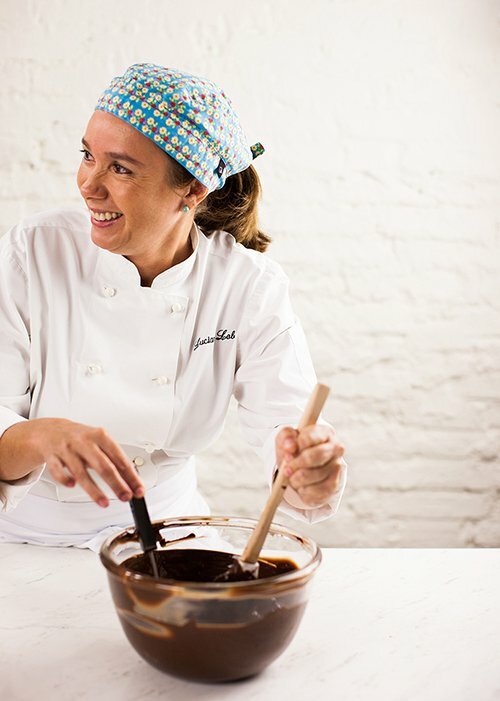 In this interview, chef Luciana Lobo explains how the profession is and gives tips to anyone who wants to be a chocolate expert. What are the main functions of chocolatier? Luciana Lobo - The chocolatier works with ready chocolate and creates the chocolate items. There are many techniques for this. It is a very specific process, which requires a lot of studies because there are particularities that only chocolate allows us to create. One of the main techniques that the chocolatier should know is tempering. When you melt chocolate, molecules ungroup and become unstable and you need to know how making it stable to bring shine, texture and pleasing to the palate. What do you like most about working with chocolate and why did you choose this profession? Luciana Lobo - It's lovely to work with chocolate, special and very particular! You can create many things. I did many sculptures at Le Cordon Bleu in Australia and if the chocolate has been well prepared, you can abuse of creativity. It all depends on the way you temper the chocolate and temperature of the chocolate. How was your experience while studying at Le Cordon Bleu in Australia? Luciana Lobo - Studying at Le Cordon Bleu was the best investment I ever made in my life. It was excellent as a base learning and I think Brazil lacks a specialization in chocolate. In the course of Pâtisserie you learn everything and have the specific module of chocolate. Then I got specialized in the market and learning in practice, but my knowledge base came from the institute. Today, with 17 years of experience, I continue to learn. And it's lovely! How was your journey to becoming chocolatière? Luciana Lobo - I studied at Le Cordon Bleu in Australia between 2000 and 2002 and soon afterward worked in the restaurant Rockpool, in Sydney, preparing desserts. I remember that in the announcement in the newspaper for the opportunity they demanded ten years of experience and and I think they selected me by mistake (laughs). After one year, I worked at the restaurant The Bathers Pavillion and learned a lot from these experiences there. When I returned to Brazil I created my industrial kitchen and began to sell my sweets to buffets and restaurants in São Paulo. That's how I met Cau Chocolate, and I worked on creating the products, and then I became a consultant. How is your work at Dengo do Brasil? 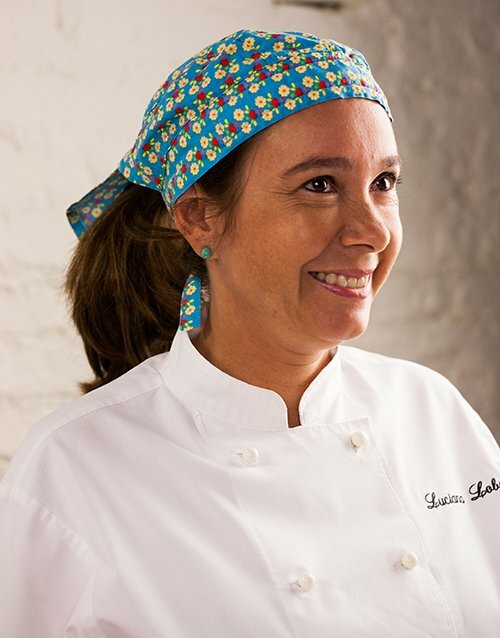 Luciana Lobo - We make quality cocoa chocolate from the south of Bahia. The brand came to value Brazilian cacao, the protagonists are small and medium producers of cocoa. We work with selected grains and with pure cocoa, without essences like vanilla in our chocolate, because we want to explore the notes of cacao. This fruit has a lot of peculiarities, very subtle details that interfere in the final product. What types of chocolates do you develop? Luciana Lobo - We use more cocoa and less sugar. Our formulations have a high concentration of cocoa. There are seven types of chocolate with different cocoa contents. The biggest percentual is 75%. But it is not the only point. The ingredients also make the difference and that’s why we do not use hydrogenated fat. I developed a line of products with 100% Brazilian ingredients, from candies with fruits like jabuticaba, mangaba, cajá to a dragee of the own almond of cacao, that are our nuggets. In the stores, we promote the consumer experience, with the purpose of knowing the cocoa processes in the field and tasting our products. The sale is consequence. How do you see the openings of Le Cordon Bleu in Brazil? Luciana Lobo - I´m very happy to know that Le Cordon Bleu is coming to Brazil because it takes us a long time to train professionals. I have already trained some professionals because most of them formed in confectionery, but they do not have the expertise and experience of everyday life. How is the market in Brazil today for these professionals? Luciana Lobo - The market is promising and is increasing a lot. Although gourmet chocolate is more expensive, consumers are already realizing the benefits of cocoa to health and opting for quality products without hydrogenated fat for example. People are more demanding and understanding this difference. Last Easter, the gourmet market has increased its sales. They prefer to buy higher quality products than just quantity. The chocolate and cocoa market is specializing, bringing many variations, as well as wine, coffee, and olive oil. Luciana Lobo - I love chocolate soufflé! What's your tip for anyone who wants to be a chocolate expert? Luciana Lobo - It requires much study, persistence, and understanding of the techniques. Despite being an area of confectionery, chocolate is a world apart. It is a very specific profession. The person has to be working with chocolate for at least one year and a half to understand and solve a problem. The ingredient is difficult. Today, with 17 years of experience, I continue to learn. And it's lovely!